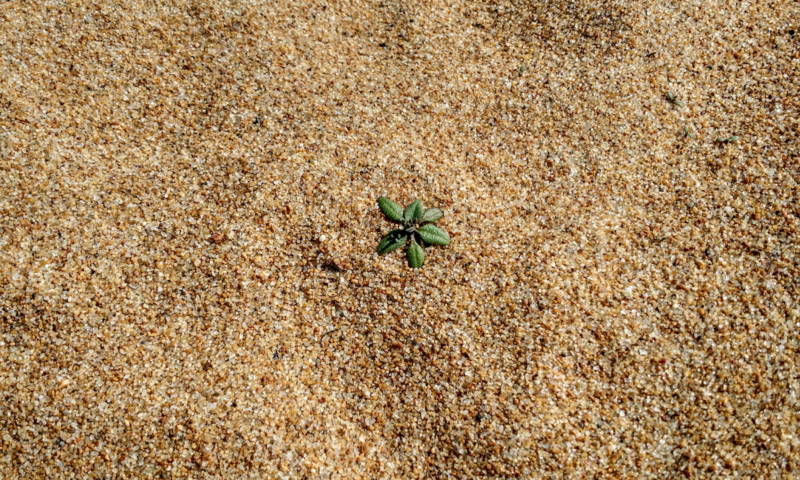 Despite its modest appearance and small size, Arabidopsis thaliana has proven to be a successful colonizer. It is found today over much of the continental US since its first arrival there only a few hundred years ago. The species thrives in wild, rural as well as urban settings, and the photo shows an A. thaliana plant thriving in the cracks of a sidewalk. Our study suggests that about four hundred years ago, A. thaliana seeds from a single plant were unknowingly being carried by Europeans to the Eastern US. Who would have guessed that several centuries later, scientists would take advantage of its North American exile and of pressed plants that botanists have collected over the past couple of centuries to calculate its genomic mutation rate, that is, the speed at which it evolved in the New World?